Around this area there was a lot of new stuff to skate! New bowls with pool coping, like in Bénesse or Vielle St. Girons… like I said, Hall04 are doing good work! (Editors note: built in collaboration with Zut Skateparks). And the guys from September Wheels‘ are doing the same, with ECW crew at Element Called Water camp! What an amazing place with this Diy zebra concrete bowl. We were supposed to just stop by to say hi and drive to Bowlzilla in La Kantera, but that session started in the afternoon and ended up in the night, when Sandro, the boss, offered us to stay for the night and have some food, and had a deal for some beers…. Ale Ferreri. 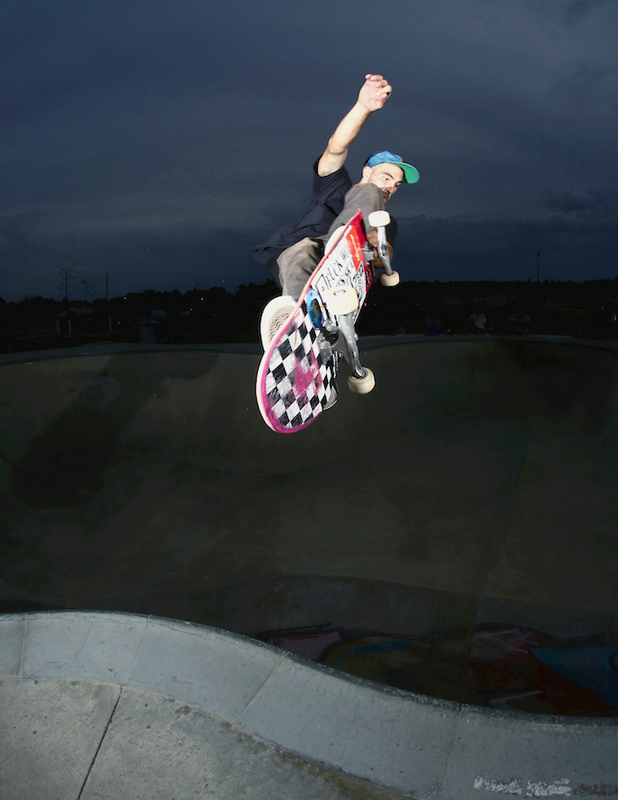 Frontside seatbelt grind in Capbreton. Autè Cerutti. 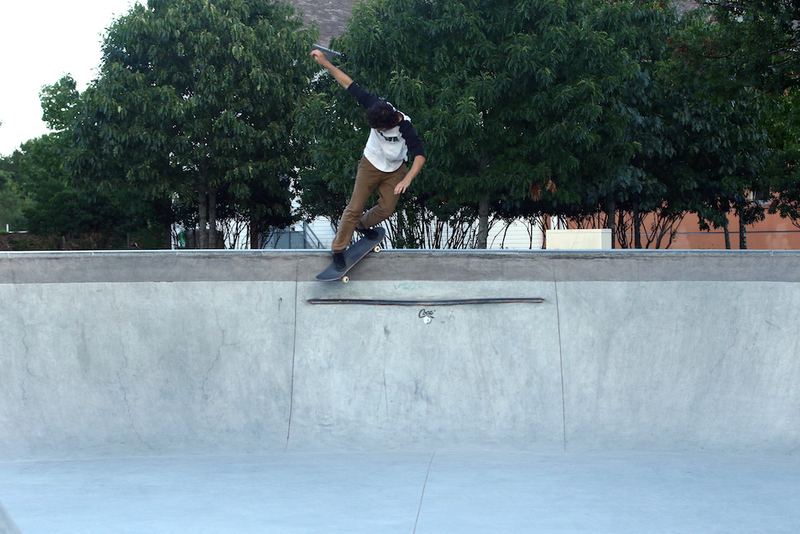 Front blunt at Capbreton. Andrea Munari. Fronside feeble in Capbreton. George Poole. Crossbone over the hip at Vielle St. Girons. Romi. Tuck knee lien air over the hip at Vielle St. Girons. Marcaietta. Frontside grinding the deepend at Vielle St. Girons. Ale Ferreri. Layback blunt as Element bowl.